Th FrogWatch element of the website is designed to provide information about frogs from across Northern Australia. This include the Northern Territory, the Kimberly region and North QLD (currently excluding the Wet Tropic rainforests). The system contains information about frog species, including pictures, calls and maps, and allows people to ask questions and provide information about frog issues. The site will also provide a coordination point for researchers and others working on issues relating to frogs. It is designed to perform a public education and awareness raising role as well as providing a coordination role to the research and wildlife sectors. One specific function is to provide a key knowledge bridge between these professional groups and the general public and wildlife enthusiasts. provide a specific focus for Cane Toad related information in Northern Australia. educate people about frogs and frog calls in an attempt to increase knowledge about species and their distribution. raise the profile or frog related issues in the NT through education. 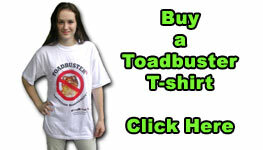 To promote awareness of frogs and related environmental issues. To provide a focus on frog issues in the NT. To play a coordination role for frog activities and facilitate research communication. 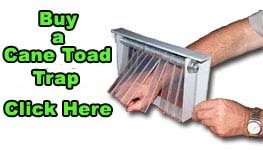 To provide resources to support frog based activities. Frogs have many glands in their skin that secrete fluids. Some of these contain substances to keep the frog moist, other contain poisons to protect the frog. You should always be careful if you handle a frog. Wash your hands, you never know what the secretions may contain.